What does the TCS Light (Traction Control System) mean?What does the TCS Light (Traction Control System) mean? You are starting your car one morning and suddenly a yellow light named “TCS” appear on your dashboard. What does it mean? Will my car get damaged if I keep driving? There are a lot of questions that are flowing in your head. But don’t worry, in this article, you will learn everything you have to know about the TCS Light and learn what to do if it appears and how much it can cost to fix it. What does TCS Light mean? TCS Stands for “Traction Control System”. The Traction Control System is controlling your wheels and make sure they do not slip on acceleration and on slippery surfaces. The most modern cars are equipped with the Traction control system. It’s an updated version of the old LSD(Limited Slip Differential) system. The traction control system is working together with the ABS(Anti-lock Braking System) and the engine control system. It monitors the speed of all your tires and if one wheel is slipping and rotating at another speed than the rest of the tire, the TCS system will reduce the engine power or slow down the other wheels with the ABS unit (Depending on the car model). It uses an ABS sensor and an ABS ring on each wheel to check the speed of each wheel. You can often find the TCS Light together with the ABS light because the systems are working together. What are the possible causes of the TCS Light? To find the possible causes of the TCS Light, you have to take some conditions in mind before starting your troubleshooting. If your TCS Light is flashing on acceleration, it could mean that the surface is slippery and the wheels are spinning. Normally the TCS Light is flashing a lot when you are driving on snow/mud or ice. 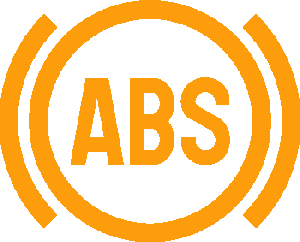 If your light is blinking and the engine is slowing down even if the surface is not slippery, there could be a problem with an ABS sensor on your vehicle. It could get the wrong values from one sensor and think the wheel is spinning but it’s not. To solve this problem you have to read the trouble codes from the ABS control unit to see which sensor is failing. On some car models, like some Ford models, the light should be flashing for 3 seconds when you are turning the ignition ON. If your TCS Light is ON constant and it has a sign “OFF” below it, it means that the TCS system is shut off. A lot of cars do have an ON/OFF button for the TCS system inside the car. Stop your vehicle and press the button to put the TCS system ON. If you can’t find the button, check your service manual for the location of the button. If the problem still insists, there could be a problem in the system and you have to read the trouble codes to see if there are any stored trouble codes. 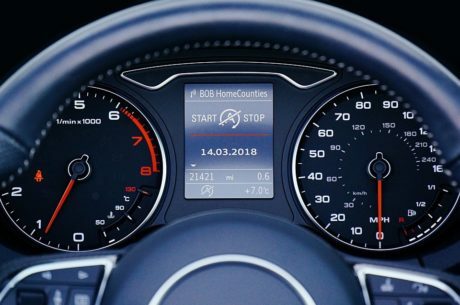 A constant TCS Light, often together with the ABS Light means that there is a problem with the traction control system and there is a trouble code stored in the ABS control unit. The easiest way to solve this is to read the trouble code and see what the trouble code is saying. To read the trouble codes you have to use an OBD2 scanner. You could either let your mechanic workshop read the trouble code memory or do it yourself. Remember that the most cheaper OBD2 scanners can only read the engine control unit. To read other control units you may have to get a more advanced diagnostic scanner. Is it dangerous to drive with the TCS Light on? When the TCS Light is on, it means that the traction control system is not working and it will be shut off completely. This will make your wheels spin freely on acceleration or slippery surfaces and if you do not know it, it can cause serious accidents. I do always recommend to repair your traction control system as fast as possible. 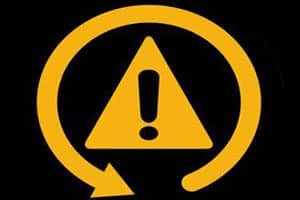 The TCS Light can also be caused by engine problems in rare cases and it can damage other parts of your vehicle if you keep driving with your car. If your ABS Light is on together with the traction control light, it means that you have no Anti-lock brakes either on your vehicle, which can be really dangerous if you have to panic braking at a time. TCS Stands for “Traction Control System”. Always repair your traction control system problems as fast as possible. If you have any other questions about the TCS Light or want to tell us of how you repaired your vehicle, comment down below and I will answer your questions as fast as possible. If you have any other car questions you are welcome to ask them at our homepage. You have to use an OBD2 code scanner and read the trouble codes to see why the light is flashing! Check for any broken wheel bearings or ABS sensors. But the easiest way is to read the codes with a scanner!